Mushroom pulao recipe, a quick, easy, tasty Indian style rice preparation using mushrooms. Step by step procedure to make mushroom pulao in pressure cooker [...] Read More... 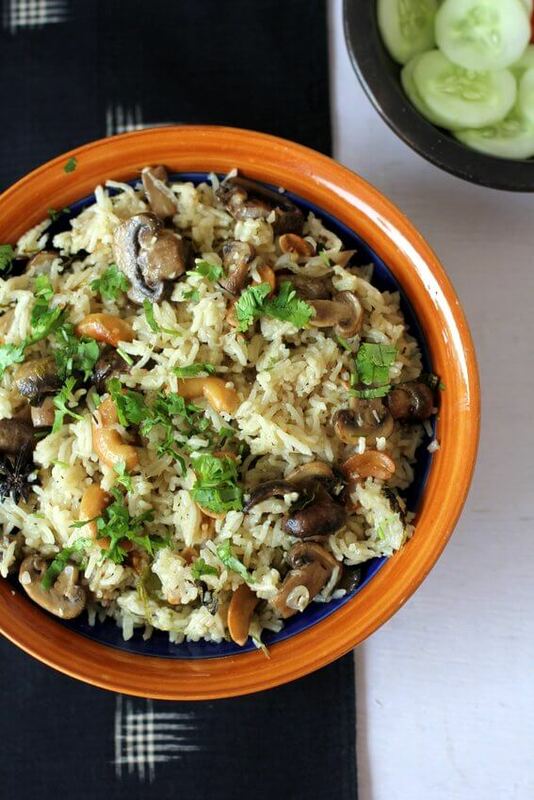 The post Mushroom pulao recipe appeared first on Indian food recipes - Food and cooking blog. ..